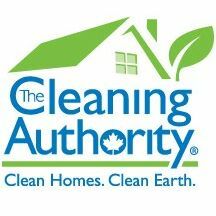 Welcome to the locally owned and operated office of The Cleaning Authority. We are pleased to serve the Etobicoke and Mississauga areas. We offer a premium cleaning service at an affordable price. Our goal is to delight you by using our exclusive Detail-Clean Rotation System which gives your home a deep, spring cleaning all year long. We offer 100% satisfaction guarantee on our services. We use Echo-friendly products; green Seal Certified® and EchoLogo® certified products to clean your home. This means our products are safe for your home, children, pets and our environment. We also use HEPA hypo-allergenic vacuums which improve your indoor air quality by removing 99.97% of allergens. We supply all products and equipment and everything is included in our price. Our cleaning professionals are thoroughly screened, bonded and insured. We have an extensive training program and we perform regular daily quality inspections. Give us a call. We would be more than happy to assist you with your cleaning needs.